ACL? MCL? What are those? Doctors sometimes use what is confusing jargon to the layman who is not educated in osteopathy, but today I am going to educate you on what you need to know to make proper informed medical decisions. A ligament is the fibrous connective tissue that connects bones to other bones. The ACL is located in the centre of a knee, and it controls rotation and forward movement of the shin bone. 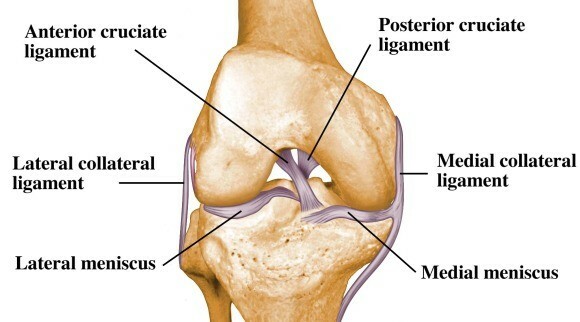 The PCL is located in the centre of a knee, and it controls backward movement of the shin bone. The MCL gives stability to the inner knee. The LCL gives stability to the outer knee. Phew, that was a lot. Now that you know what ligaments are in your knee, today I will be focusing on the ACL & MCL with regards to what injuries you might contract. The ACL is the ligament in the knee that is injured the most frequently. It is often stretched, partially torn or completely torn when ‘twisting’ movements are made, where the feet stay rooted in one position, but the knees turn the other way. The ACL can also be injured when there is an abrupt stop while an individual is travelling at high speeds, his leg being subject to great forces due to him planting it into the ground, using it as an anchor. A ‘pop’ sound is often heard when this occurs. This is usually followed up by instability in the knee with the injured ligament, and feeling weakness in the knee. The affected individual is no longer able to perform movements he used to be able to do fully, and discomfort and extreme pain is felt at the affected knee. There are two kinds of treatment options for ACL injuries, one being ‘Conservative’ while the other being ‘Surgery’. Conservative treatment options are usually only available for patients who have had relatively minor injuries. This means a small tear of the ACL can be treated with several months of rehab and temporary wearing of a brace to stabilize and immobilize the knee. Surgical treatment options are usually advised when there is not only an ACL injury but also other different injuries are present. It is also available when a competitive athlete needs to recover as soon as possible, or when the ACL has been torn to an extent that it can no longer heal by itself. A surgical reconstruction procedure will be carried out, where a tendon obtained from your body will be used to ‘replace’ the original ACL. 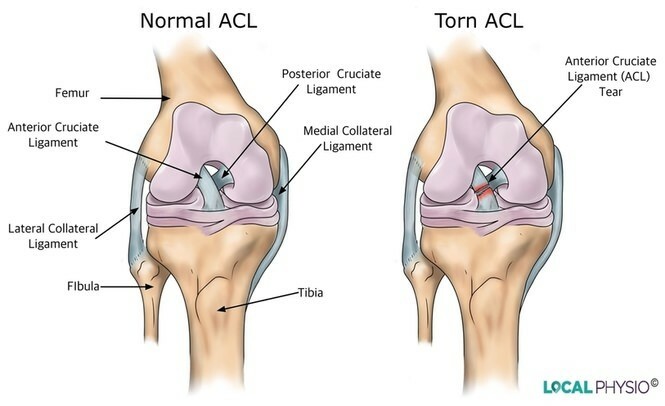 Similar to the ACL, the MCL can be stretched, partially torn or completely torn. This usually happens when there is a direct blow to the knee, and this commonly happens in contact sports such as football. 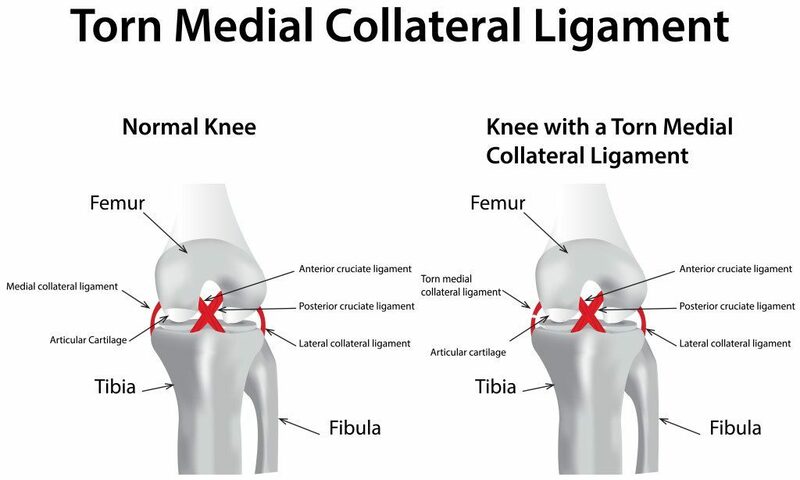 When the MCL is torn, a ‘pop’ sound can usually be heard coming from the affected knee, and symptoms are similar to other knee problems. Problems with stability may arise, and indicate a severe injury. Similar to ACL, there are two kinds of treatment options for MCL injuries, one being ‘Conservative’ while the other being ‘Surgery’. Conservative treatment options involve intensive rehab, and is usually recommended to patients who have had suffered MCL injuries. This is because MCL injuries rarely require surgery. Temporarily, a brace will need to be worn to stabilize and immobilize the knee. Surgical treatment options are usually only suggested when the MCL has been completely torn, and cannot be healed naturally. This is called a grade 3 tear, and would require surgical reconstruction to properly treat the injury. A tendon is usually acquired from your kneecap or hamstring as a graft, and used to ‘replace’ the original MCL. A graft may also be obtained from a cadaver, but if you have personal issues receiving tissue from a dead patient, do let your doctor know. Arthroscopic surgery(surgery that involves small incisions and the aid of a camera) is usually preferred over open surgery, as there are lesser potential complications.